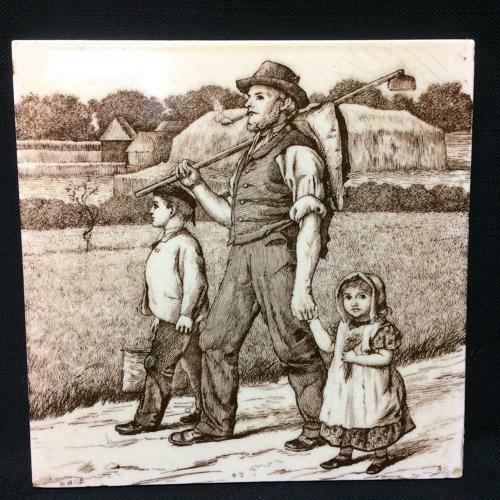 The tile from the Country Life series from famed Minton artist William Wise. A farmer strolls with his young children. Very Good condition with normal crazing and a flake to the right corner.